Supported by some of the best musicians in the business, Tim launched this band off the back of his Channel 9 TV show The Singing Byee and has already become one of the most sought after premiere cover bands on the events scene. Step back in time, and boogie on down to the most loved songs of the 70s, 80s and 90s with The Tim Campbell Band. Tim is known for taking his audience on to the dance floor and keeping the event energised and alive all night long. With over 15 years experience entertaining and enlightening the corporate event world, Tim Campbell is one of those unique multi talented Emcees who can easily adapt to varying style of events. Known as “one of the nicest guys in entertainment”, Tim naturally makes an audience feel at ease, whilst administering the needs and objectives of his client. Toyota, Nestle, KPMG, Coca-Cola, Volvo, AFL, Westfield, Racing Victoria, Crown Casino Australia, Aussie Home Loans, Heloise Waislitz, Victorian Transport Assoc. 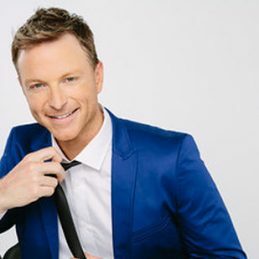 With an extensive list of TV and musical theatre credits including Carols By Candlelight, The Good Friday Appeal, Carols in the Domain, Shout!, Rent and Wicked, Tim has been invited to entertain thousands at corporate events as a feature vocalist. Be it with his own band, the house band, featured orchestra or even to recorded track with a theatrical dance production, Tim is one of those talented and versatile singers who can deliver on any brief to help make the event a success. This mixed with his Emcee skills will allow the perfect connect with anaudience and will round out a complete night of entertainment for any small or large scale event.